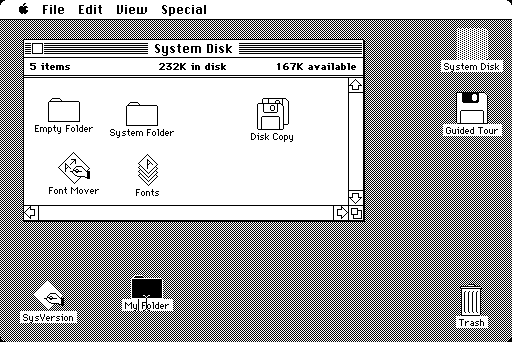 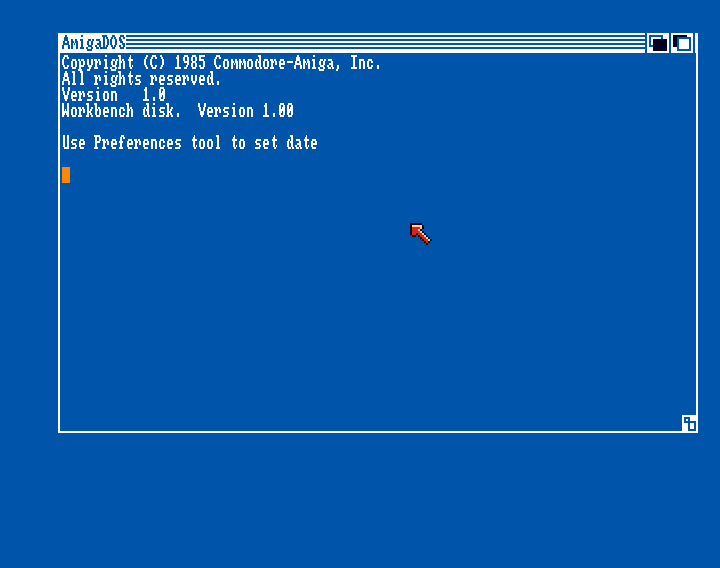 Workbench 1.0 came with the original Amiga 1000 on it’s release in 1985. Workbench 1.0 should work on any version of Kickstart from Kickstart 1.0 onwards (Kickstart 1.1, Kickstart 1.2, Kickstart 1.3, Kickstart 1.4beta, Kickstart 2.0, Kickstart 3.0, Kickstart 3.1), although on Kickstart 2 onwards things will look a bit odd and some menu functions will be different or gone altogether. 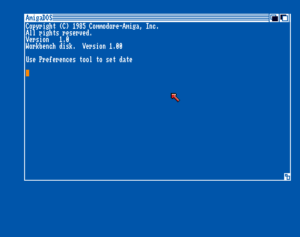 The Amiga Museum has tested and verified that Workbench 1.0 does in fact work on Kickstart 3.0. 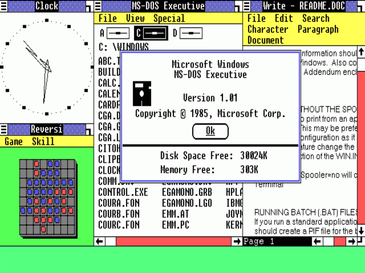 Microsoft Windows 1.0. Used with permission from Microsoft.